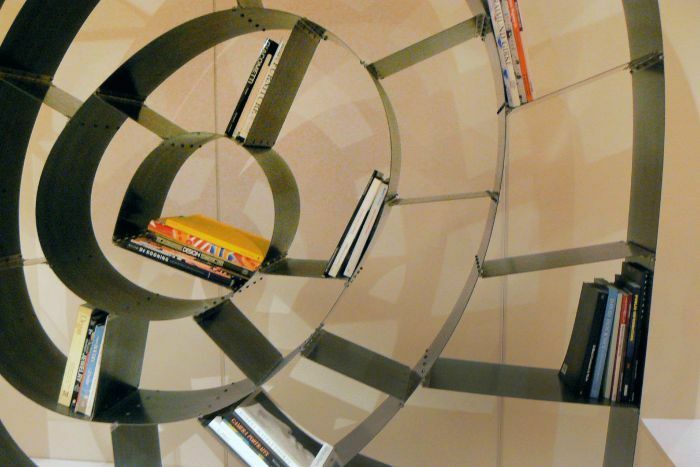 This week’s Design File is about Ron Arad and his Bookworm. He’s one of those designers who always grabs my attention and makes me smile. From the moment I saw his Rover chair, I thought: this is someone with a special take on the world. 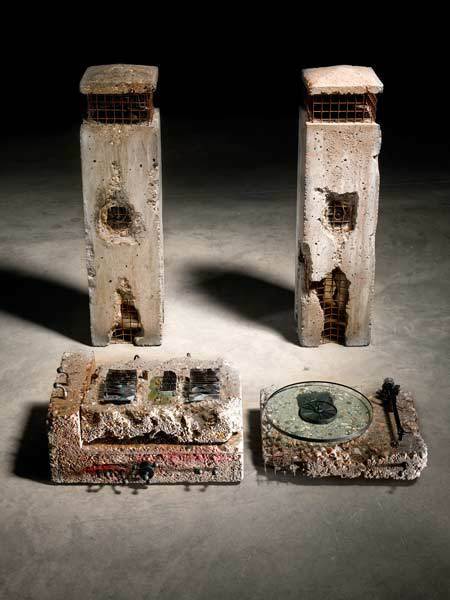 His concrete hifi is wonderful because it is confronting, even decades after its first appearance. You can almost hear people saying: oh, that’s not right, it’s not beautiful, why would anyone do that? Not realising that they have just answered their own question. The impetus to create something is often driven by a lack of ‘rightness’ or accepted beauty. 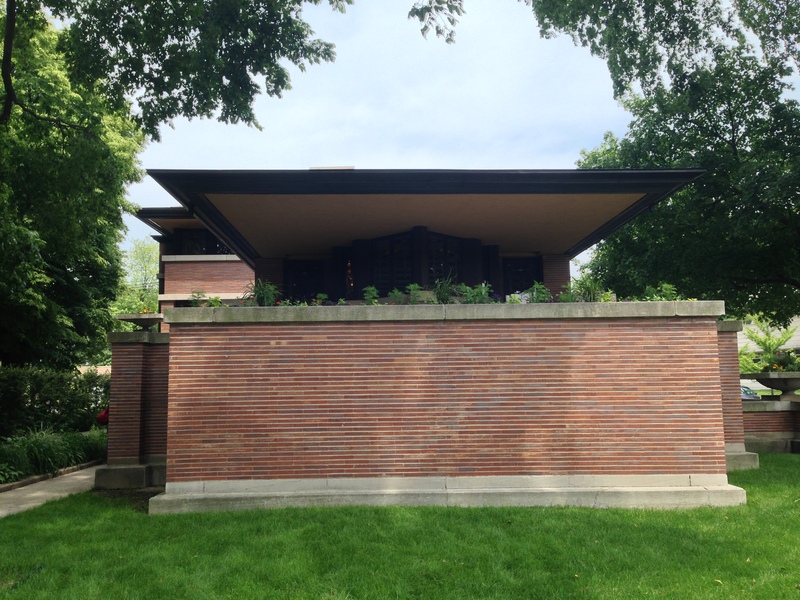 After a trip to Chicago, I showed a friend some pictures of the buildings I had seen – mainly Frank Lloyd Wright houses. “Oh, I don’t like brick,” she said dismissively. I was taken aback. As far as I was concerned I wasn’t showing pictures of brick buildings but of wonderfully expressive pieces of architecture with spreading eaves and fluid plans, demonstrating a significant move away from the accepted Classical or Traditional designs of that period. But all my friend saw was brick. 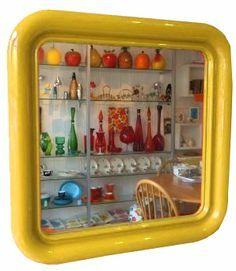 I have a bright yellow moulded plastic mirror, bought in the 1970s in Habitat and made by Crayonne (and don’t be fooled by that French spelling, it was simply an offshoot of Airfix, makers of DIY plastic models). I love it because it seems to revel in its plasticness. Look at my groovy lines, it says. My partner thinks it’s plastic junk. Taste is a strange thing. Why are we drawn to some objects and not to others? 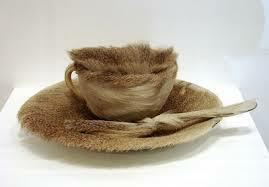 Do I like certain objects because of their history? It certainly helps when you know something about their background. When someone said to me, “Le Corbusier? Isn’t he the bloke whose buildings look like car parks?” I could have wept. Putting aside the fact that I knew what he meant, I still remember the first time I saw a Le Corbusier building. I was hooked – intrigued, captivated, wanting to know more. I think Corbu is a genius and I suppose I want everyone else to think so too. I accept that I am a design snob. I go into high street stores and turn up my nose at the generic designs of sofas, the nasty ‘features’ and cheap tricks to make a piece appear to have a sense of quality when it is no more than a collection of staples, off-gassing foam and veneered leather. 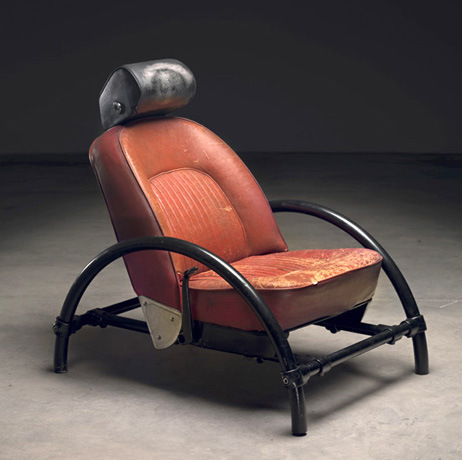 It’s the preponderance of this sort of stuff that is precisely the reason a designer like Ron Arad leaps out and ‘grabs you by the throat’ (as I say in my Design File). Going against the grain is the modus operandi of the creative mind, the stimulus for new ideas. Some people don’t like the natural order of accepted taste being upset. Others, like me, want a little danger in our design. How about you? My current least favourite design element: the outer foyer of a revamped innerwest cinema … I can understand they were going for clean lines, no frippery, but what they’ve got is cold, unwelcoming slabs of stone. Depressing. Could have been so much better. Yes, it certainly highlights the blurry area concerning where our taste comes from. And that very indistinct line between art and design. Can you imagine doing a PhD on taste? I think my head would explode. I have tried on several occasions to see if the Powerhouse is going to be involved on mark the event in some other way but I can never get a reply. Your ABC audience might be interested in this development even if Sydney is not involved. BY the way, have you been to Hansaviertel in Berlin, the site of the 1957 Interbau which apparently was a propaganda counter to the East’s Stalin Allee. The politics of that time must have been fascinating. Given the chronic shortage of housing and no doubt building materials, the competition to be housed there must have been intense. In addition to the frequently photographed apartment blocks, there is a small number of cottages which all seem to turn their faces away from the street by having no or few windows where one would expect them to be. I was there last year and some of the area looked a little tired.Perhaps that comes with communal living when no single person owns a particular part. In other respects the streets reminded me of Canberra. That would be fantastic to have it here – or something that recognises its importance. But a travelling Le Corbusier expo was shelved, too. I think it shows that what we know as important movements/architects/ icons are often under-appreciated in Australia. 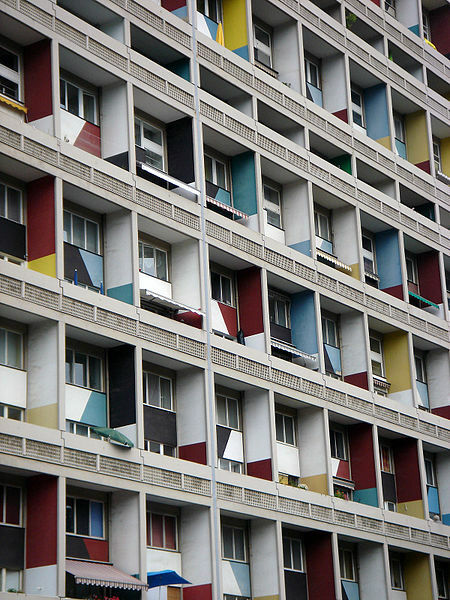 I find it mind-boggling how often I come across educated people here who haven’t even heard of Le Corbusier…Hansaviertal looks interesting. Berlin definitely on my list!